The challenge with a lot of these Technic sets is that the kit builds one (or maybe three similar) models. Once you are done with it you have all of the pieces you don't know what to do with. 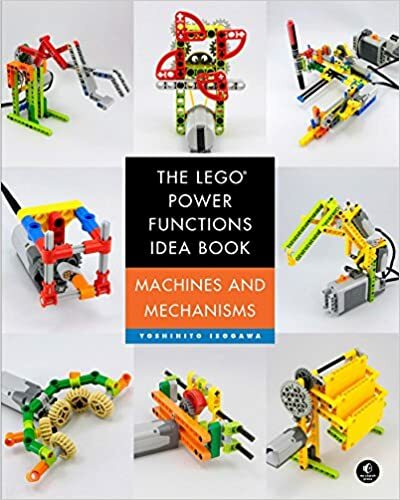 Unless you are a mechanical engineer you may find it harder to 'use your imagination' with the motorized systems of Technic & Power Functions than with regular Lego bricks. That's where the Power Functions Idea books come in. 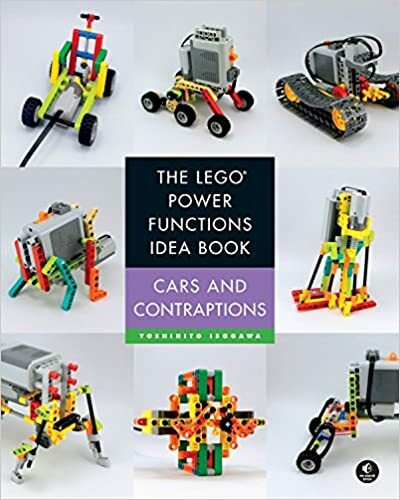 Yoshihito Isogawa wrote two idea books for Power Functions called Cars and Contraptions and Machines and Mechanisms. They are both fun and full of imagnative ideas. They each have about 300 pages of cool ideas for elevators, mechanical arms, funky tanks, and walkers of all sorts. My son and I have loved building things from the book. There's a catch, however. These are not full instructions. For most creations Yoshihito gives you a parts list and a few pictures of the completed model, not step by step instructions. You are supposed to use this as a jumping off point for your own creations. For the most part this works but in a few spots we couldn't quite figure out how the mechanism worked or how to put it together. That said, we still really enjoyed them. You should buy these books? Yes, if you are a technic fan like me and my son and really want to push beyond what's inside the box.